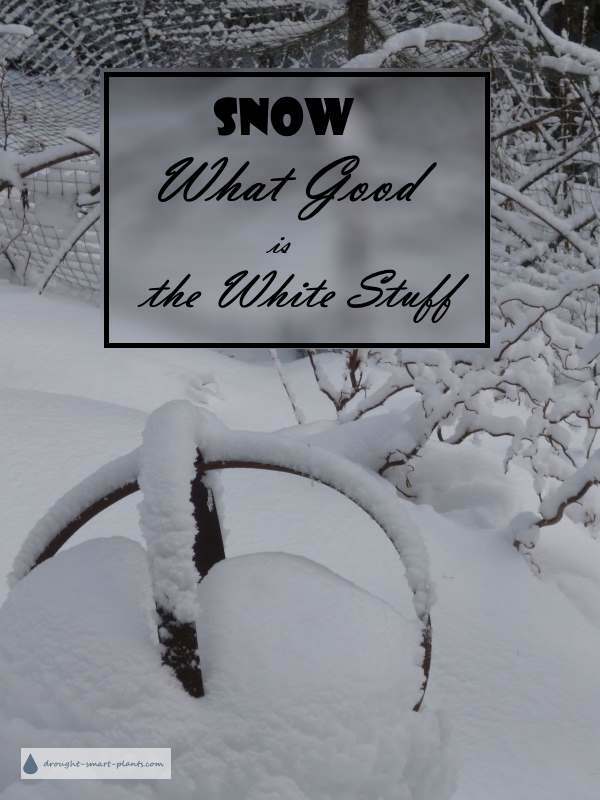 Snow - What Good Is The White Stuff? 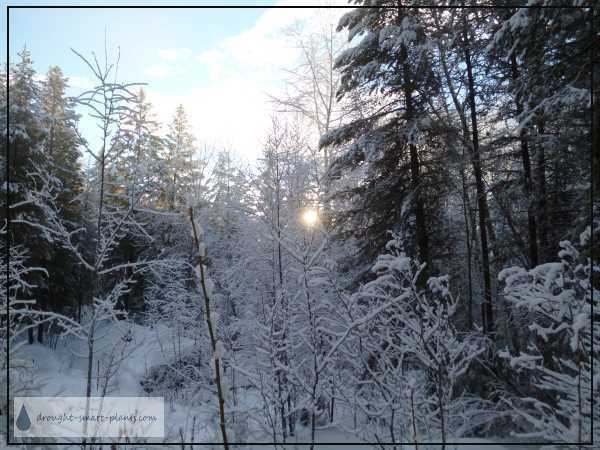 In the northern hemisphere, we've all been there; We get up in the morning after a heavy snowfall, and gasp with delight at the beauty of trees outlined in white, the deep silence, with everything muffled. Then the novelty wears off, especially after several events. Shoveling it becomes a never ending chore, and finding places to push it a real problem. Driving in it is another issue entirely; slippery, wet, and dangerous, it causes so many accidents. We're just not meant to go out in it. How do you justify sitting indoors for months? There must be something good about it. Snow is a good insulating blanket for the soil. This is especially good in newly planted gardens, when the plants haven't rooted in well yet. The soil under a foot or two of snow stays at the same temperature, preventing frost heaving which is caused by freezing and thawing in cycles. When the snow melts, it recharges the water supply deep underground. Aquifers and the rivers depend on a slow thawing which replenishes the water we use through the year. High temperatures in May and June can mean flooding in low lying areas, but if it melts slowly the rivers are in spate, but not flooding. Every year is different. Snow is a source of Nitrogen, the fertilizer that all plants need for growth. It releases the Nitrogen that it captures from the air as it melts. 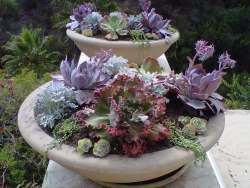 Hardy succulents, even though they're called 'hardy' meaning they can withstand cold temperatures, really don't like temperature fluctuations. 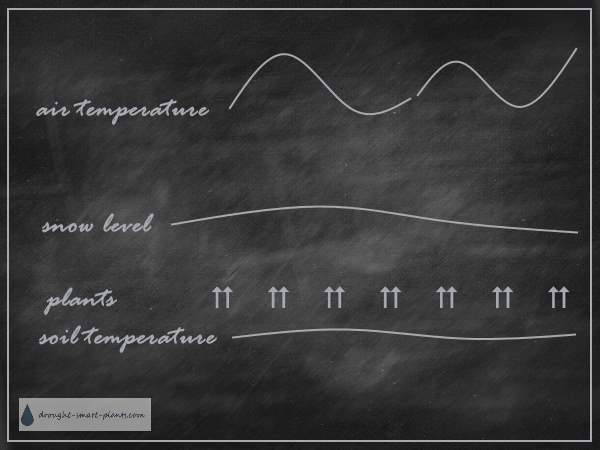 This chart illustrates how snow can keep the temperature at the soil level the same all winter. This is good for many plants because it stops the frost heaving that kills them. Around here, winters are generally cold, as in, below freezing from October to March. The winter will start off with gradually cooling temperatures, after a bit of snow, then it really cools off and stays that way until spring. The best winters which are the least challenging for the plants in my garden are a good snowfall, followed by increasingly cold temperatures. This keeps the roots of the plants 'warm' which causes the least damage. Even plants that are reliably hardy are still at risk if the roots freeze too hard. So there you have it; no need to feel guilty for loving the fresh snowfall. Celebrate it, and always keep in mind the good points of snow. It's got several benefits that can keep you sane, while you watch it pile up.